This area of New Brighton Road alongside the Avon River in the Burwood area suffered from instability, liquefaction and falling ground levels and was declared unsuitable for building. Most of the houses in the area were red-zoned, meaning that they had to be abandoned. 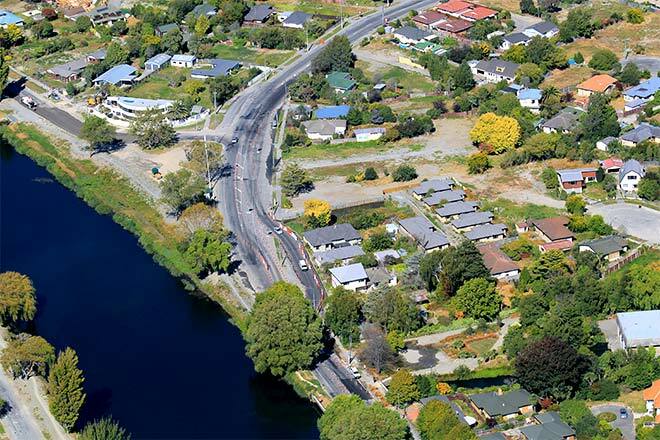 The road has been diverted across the front yards of several red-zoned houses to avoid the softer, damper soil beside the river.